Welcome to the first installment of The Fuzz, featuring a rundown of law enforcement-related news from Eastern Washington, North Idaho and elsewhere throughout the Pacific Northwest from the previous week. This week: The Spokane County prosecutor has declined to file criminal charges against three deputies who shot a man in a motel; a Spokane Police officer faces a lawsuit accusing her of illegally detaining a man and reporting him to U.S. Border Patrol; a drug addict snatched a 91-year-old lady's purse; K9 Khan sniffs out a suspect hiding in a recycle bin; and a Coeur d'Alene jury sentenced cop killer Jonathan D. Renfro to death for shooting Sgt. Greg Moore in 2015. Three Spokane County Sheriff's deputies will not face criminal charges for their use of deadly force on a man who is accused of starting a fire in a Spokane Valley hotel room, according to a news release from the Sheriff's Office. 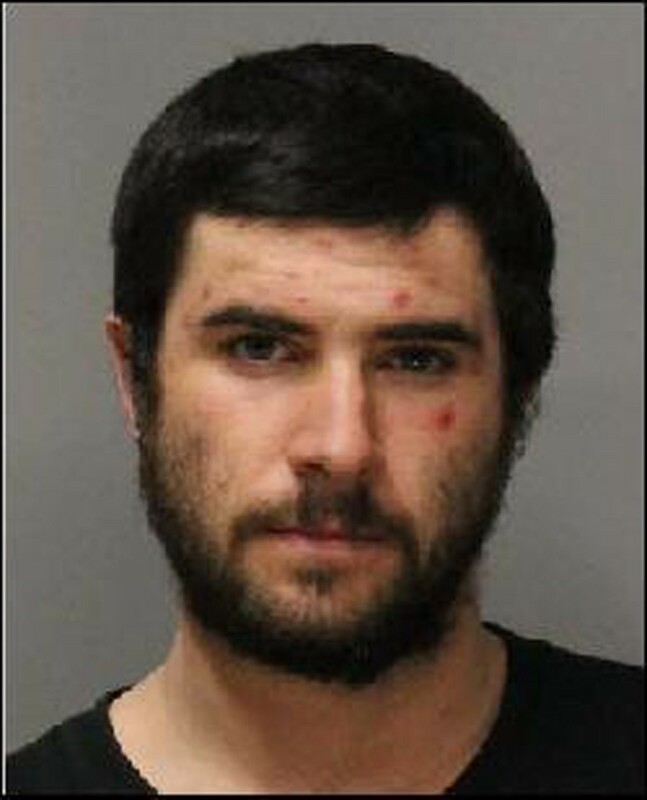 Deputies Nathan Booth, Jeffrey Getchell and Tyler Kullman all fired their service pistols at Michael J. Kruse when he reportedly charged down a set of stairs with a knife in his hand, the news release says. Dep. Getchell attempted to de-escalate the situation by talking to the man, and a fourth deputy, Spenser Rassier, fired less lethal beanbag rounds, to no avail. Kruse was taken to the hospital and survived the gunshots. Gabriel Gomez Maciel was driving to church in August 2014 when another vehicle T-boned his pickup truck. Spokane Police Officer Mylissa Coleman responded to the scene of the crash. Coleman cited the other driver, a white man, and returned his driver's license indicating he was free to go. She did not return Gomez's license, according to a lawsuit filed in U.S. District Court. Although he was in pain from the accident, Gomez could not leave without his license, the lawsuit states. Meanwhile, Coleman had called or instructed another officer to call U.S. Border Patrol, whose agents arrived at the scene of the crash and arrested Gomez. He was transferred to the immigration detention center in Tacoma, where he was held for a month, the lawsuit states. Through his lawyers with the Northwest Immigrant Rights Project and ACLU of Washington, Gomez is suing Coleman for violating his constitutional rights against unlawful search and seizure. The Ninth Circuit Court of Appeals has ruled that state and local police cannot detain people based solely on the suspicion that they're in the country illegally. The lawsuit also notes that Coleman's actions may have violated SPD's internal policy regarding its officers' involvement in immigration enforcement. Despite the fact that Gomez was the victim in the car crash, had no warrants or prior criminal history, Coleman detained Gomez "based solely on Mr. Gomez's Latino race and ethnicity," long enough for Border Patrol agents to arrive, according to the lawsuit. "After interrogating Mr. Gomez for around 15 minutes, the Border Patrol agent handcuffed Mr. Gomez, and placed him in a Border Patrol vehicle," the lawsuit says. "Coleman returned Mr. Gomez's documents to him only after Mr. Gomez was placed in the Border Patrol vehicle. Mr. Gomez observed that ... Coleman was smirking in a mocking manner when returning his documents to him. Mr. Gomez felt ashamed and humiliated by ... Coleman." Jason Kline bolted from the red Honda with no license plates he was driving after he was pulled over by a Washington State trooper. 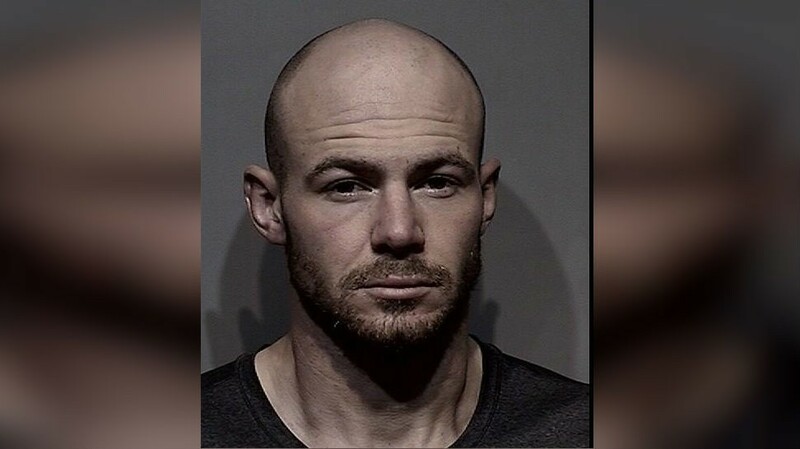 He ran through yards and over fences in Spokane Valley with police and a K9 in pursuit around 2 am on Halloween, according to a news release from the Spokane County Sheriff's Office. Nose to the ground, K9 Khan tracked Kline through back yards to a blue recycle bin on the 11000 block of E. Augusta, the sheriff's news release says. 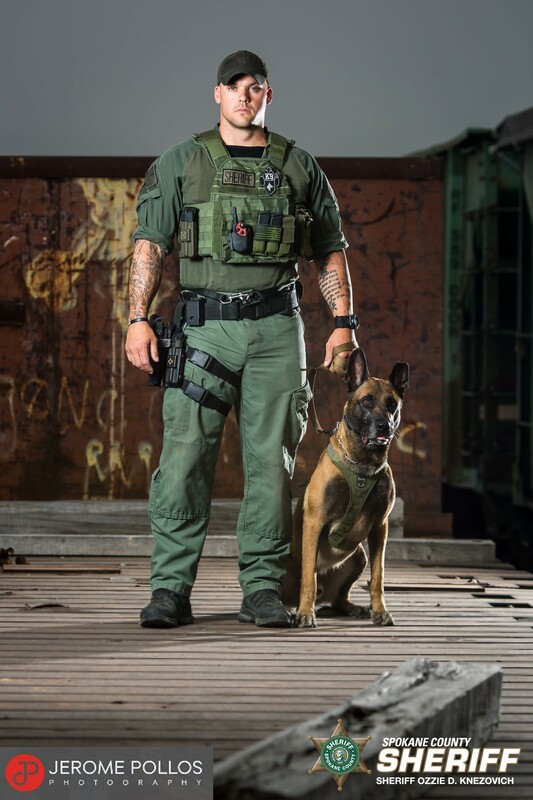 With K9 Khan barking at the bin, Kline refused to surrender, and Deputy Tyler Kullman released the dog. K9 Khan knocked the recycle bin over, and Kline was taken into custody. He is sitting in jail facing charges for possession of stolen property, trafficking stolen property and drug possession, according to the Spokane County jail roster. In a meth-fueled frenzy, a man robbed a 91-year-old woman of her purse while she stood in her own driveway. Coeur d'Alene police arrested Cody Campbell, who confessed to the crime in an interview with KHQ. Campbell says he's been addicted to meth for the past four years. "I have an 8-year-old son, and he doesn't understand why I continue to make these decisions," Campbell tells the TV station during a jailhouse interview. "He doesn't understand why Dad keeps going to jail." A 22-year-old inmate escaped from a jail work crew in the Kendall Yards neighborhood where he was supposed to be planting trees. Gary C. Angell has been on the run since Nov. 1, according to a news release from the Spokane Police Department. Authorities are still looking for him. Angell was incarcerated for violating a protection order. He has short dark hair and a beard and brown eyes. Anyone with information is asked to call Crime Check at 509-456-2233. Following weeks of testimony, a North Idaho jury sentenced the convicted cop killer to death, according to news reports. The Spokesman-Review reports that Renfro, 29, showed no emotion as the jury's decision was read in court Saturday. Renfro said previously that he would accept whatever punishment the jury saw fit to hand out. An expensive appeals process is sure to follow.